Right now I’m running two different KAL almost at the same time (the clues are staggered). This means that I’m thinking a lot about how to transfer information and teach knitters new techniques. I often find that it’s not the big ideas that get knitters excited but the small little tips. 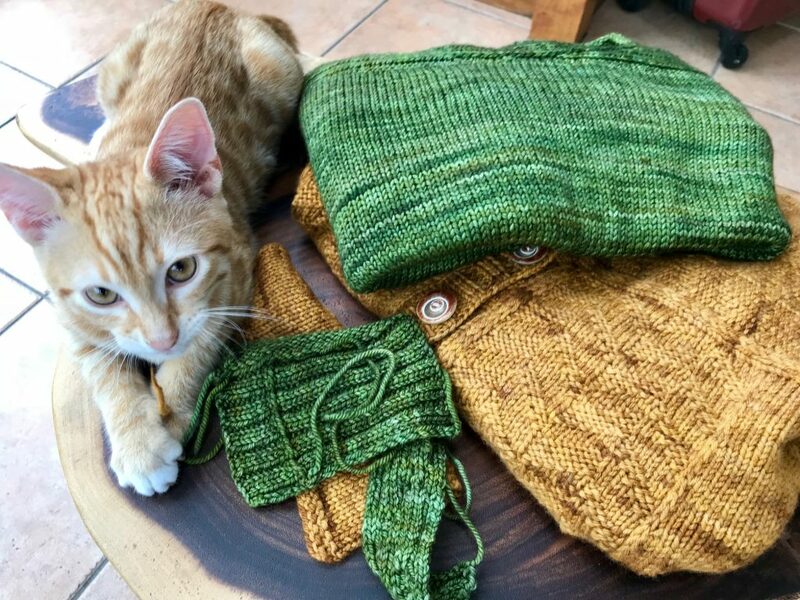 Small bits of knitting technique that niggled at you in the background and when a new way of doing it is shown to you there’s a real ‘eureka’ moment. 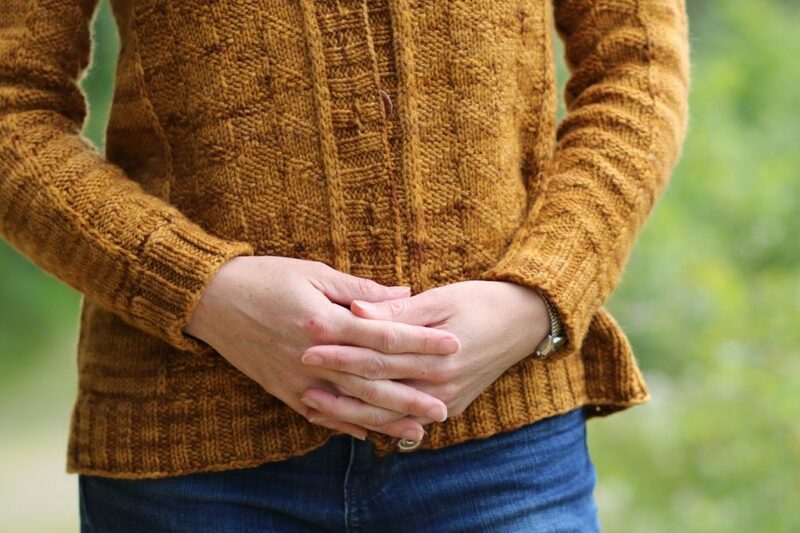 I’m discovering that for me the way I teach the KAL depends on how I knitted the original garment. Having Camira and Mossy Way KAL running at the same time is pretty interesting as it sits two very different teaching methods side by side. With Camira I was experimenting with the construction. I knew I wanted the stitch pattern to run in two different directions but I had several sections that were knit and reknit a few times. In addition this cardigan was my summer travel project so I was knitting it in airports, flights and buses. This meant that while I could keep written notes I wasn’t able to do any videos while I worked. I’m discovering thought that video is a fantastic way to pass on information. For this KAL I’ve been using facebook live the day after a clue is released. This means that as issues or questions arise I can chat through them on the video. Plus anyone watching can post questions live. The added bonus of this method is that I can then take the live video and after the fact embed it on my Camira KAL page on my website for anyone who doesn’t want to use facebook or who has missed the live version. The videos are fun to do, I get to be chatty and relaxed and it’s much less formal than standard tutorial videos! The second KAL, Mossy Way, is set up differently. As I’m doing it with Love Knitting I wanted to do some good tutorial videos that they can put on their website. This meant that I had to be much more structured with my knitting for the sweater. I thought through each section carefully and planned the videos around the knitting. So every topic that comes up will have a video; how to increase in ribbing, how to decrease in ribbing, picking up stitches from the wrong side, joining the body, alternating skeins of yarn and picking up sleeve stitches. By doing the videos while I worked I was effectively talking through my own knitting process. As each of the KALs progress I’ll be posting the new videos on my website for both Camira and Mossy Way. 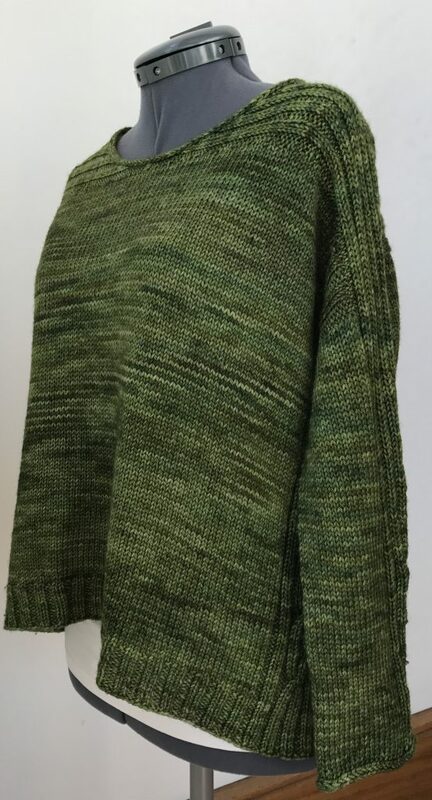 There are several knitters who are going for broke and alternating through the 2 sweaters, I’m rooting for them to get both finished! Have you joined one of the KALs yet? Carmira has just had the first clue released and Mossy Way is on the 20th of October so still time! ← Lets Get Camira Ready!